MMS: Ministry of Military Supply. IGT: The Imperial Guarding Troops. P/A war: The Protoss/Asmodian War. The Line: The Protoss/Asmodian Line, a border between the two alliances. The Phantom Legion: aka the Ninth Legion which Cohen Kheda commanded. Marfa, Jack, Wilder, Moya: Cohen’s childhood friends and firm supporters, current Ninth Legion commanding officers. Luhrmann: The Swabian Prime Minister assigned by the holy temple, current PUF Chief Quartermaster. Amart: The leader of Cohen’s underground intelligence agency. Diana: An elf, a member of Cohen’s Imperial Guarding Troops. Winterhard Lennie: A Rivalzian general who worked at the PUF Corps. Carl Ulysses: Younger brother of the Tansian King, the Supreme Commander of PUF. York Tyrant: Brigadier general who previously served in the Ninth Legion. 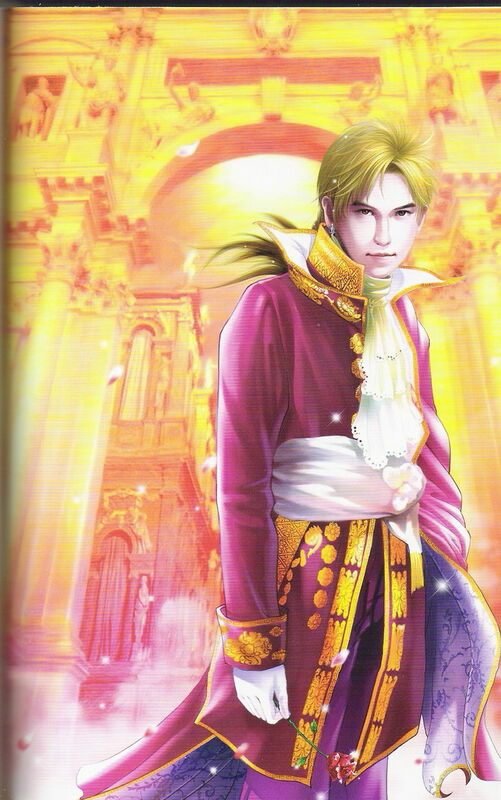 Kirk: Viceroy of the front line city Gallia. Cohen’s deputy officer who once served in Dark City. Sander: Chief of the Aqua clan. Copper Field: Admiral General of the 5th War Zone. Hampton: Major General of the 7th War Zone. Ike: The second prince of the Camp empire. Verlaine: Supreme Commander of AUF. Swisse Hepburn: Deputy Officer of the Military Intelligence. Guilford: The ‘farmer’, Deputy Admiral General of the 5th War Zone. Brandon: Supreme Commander of the AUF 26th Legion. Gardena: Chief of the 36 tribes.